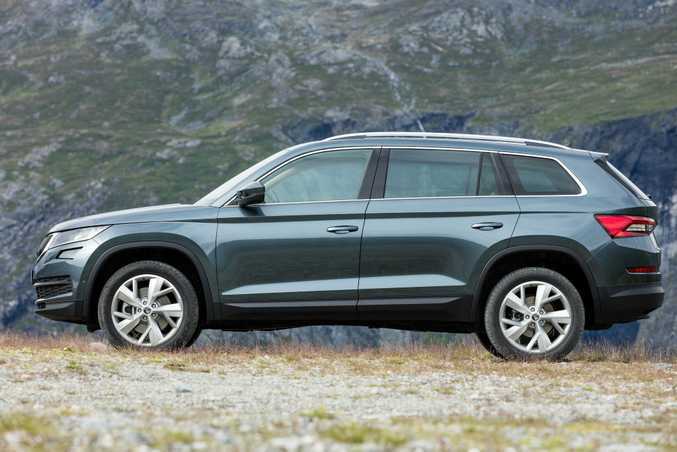 SKODA's seven-seat Kodiaq SUV will cost from $42,990 before on-roads when it arrives here late in May. The Czech brand is currently advertising its big 4x4 at from $46,290 driveaway on its website. 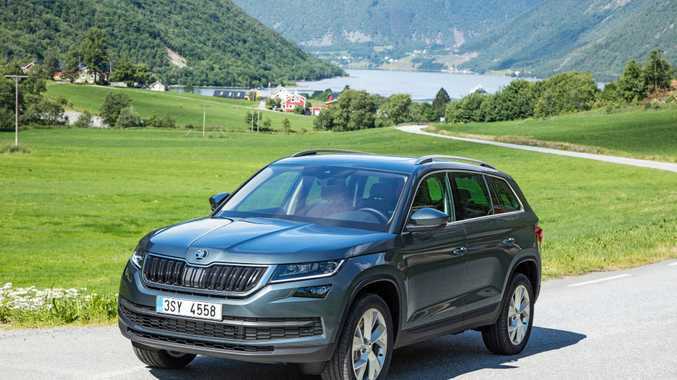 It is Skoda's first effort in the booming large SUV segment, and will be one of the cheapest ways into an all-wheel-drive seven-seater on our market. Rivals with 4x4 include the Mazda CX-9 Sport ($46,490), Hyundai Santa Fe ($39,350), Kia Sorento ($44,490) and Toyota Kluger ($46,190), with all prices before on-roads. From launch there will be only one model with a 2.0-litre turbocharged petrol engine offering 132kW and 320Nm, mated to a seven-speed dual clutch auto transmission. The petrol engine offers 7.6l/100km economy, while a more frugal turbo diesel model joins the line up later this year. Owners can spruce up their Kodiaqs by adding Tech packs ($2500) or Luxury packs ($4900) to bring more comfort, toys and active safety kit.